Alcatel 3T8 16 GB 8 inch with Wi-Fi+4G Tablet (Sandstone Blue)..
Alcatel 1T7 8 GB 7 inch with Wi-Fi Only Tablet (Bluish Black)..
Samsung Galaxy Tab A T355Y 16 GB 8 inch with Wi-Fi+4G Tablet (Smoky Titanium)..
Alcatel A3 10 (VOLTE) 16 GB 10.1 inch with Wi-Fi+4G Tablet (White, Blue)..
Lenovo Phab 2 Pro 64 GB 6.4 inch with Wi-Fi+4G Tablet (Champagne Gold)..
Samsung Galaxy Tab A T355Y 16 GB 8 inch with Wi-Fi+4G Tablet (Sandy White)..
Lenovo Tab 7 Essential 16 GB 7 inch with Wi-Fi+4G Tablet (Slate Black)..
Samsung Galaxy Tab S2 32 GB 9.7 inch with Wi-Fi+4G Tablet (Gold)..
Alcatel A3 10 (VOLTE) 16 GB 10.1 inch with Wi-Fi+4G Tablet (Volcano Black)..
Alcatel A3 10 16 GB 10 inch with Wi-Fi Only Tablet (Black)..
iBall Slide Enzo V8 16 GB 7 inch with Wi-Fi+4G Tablet (Coyote Brown)..
Alcatel Pop 4 with Keyboard 16 GB 10.1 inch with Wi-Fi+4G Tablet (Dark Grey)..
Samsung Galaxy Tab S2 32 GB 9.7 inch with Wi-Fi+4G Tablet (White).. Honor MediaPad T3 10 32 GB 9.6 inch with Wi-Fi+4G Tablet (Luxurious Gold)..
Alcatel A3 10 32 GB 10.1 inch with Wi-Fi+4G Tablet (Black)..
From ₹2,799 Upto 53% off discount sale.. Extra ₹300 off Upto 43% off discount sale.. 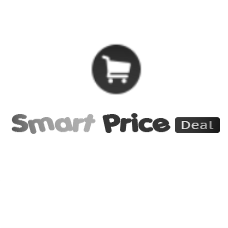 Extra ₹300 Off Upto 33% off discount sale.. Extra ₹300 off Upto 40% off discount sale..